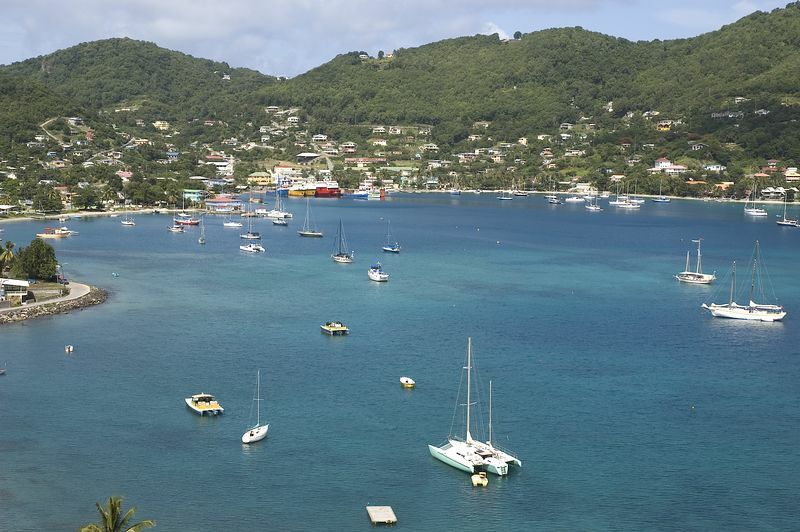 We did take one short hike while we were in Bequia. Daphne and I walked from Port Elizabeth, along the north shore of Admiralty Bay, to the old fort on the point. When we got to the fort (which was more of a gazebo with canons), I took this picture, looking back on Admiralty Bay. You can see the ferries docked at Port Elizabeth in the center of the picture. The road we walked from Port Elizabeth to the fort is on the left hand side of the picture. I think that Fortitude is in the picture somewhere to the far right, but I am hard pressed to pick it out from the large number of sailboats moored in the bay.